Being from the Midwest, I’ve only gotten the chance to eat at a True Food Kitchen twice. The southwestern area restaurant chain was started by Dr. Andrew Weil, who thought the super healthy food he cooked at home was tasty enough that others would love it too. He was right because anyone I’ve ever talked to that has visited one of his restaurants has raved about it. 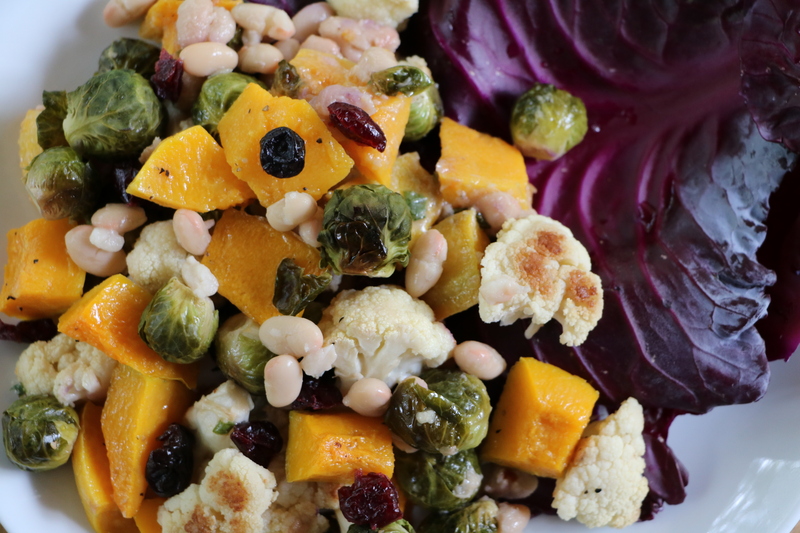 Since my post on a copy cat version of True Food Kitchen’s Inside Out Quinoa Burger is the most visited post on this blog, I decided it was time to share my “Almost” Autumn Ingredient Salad. The real one includes dried mulberries and dried pomegranate seeds, but they are pricey and hard to find. I just used dried cranberries and they make a good substitute. 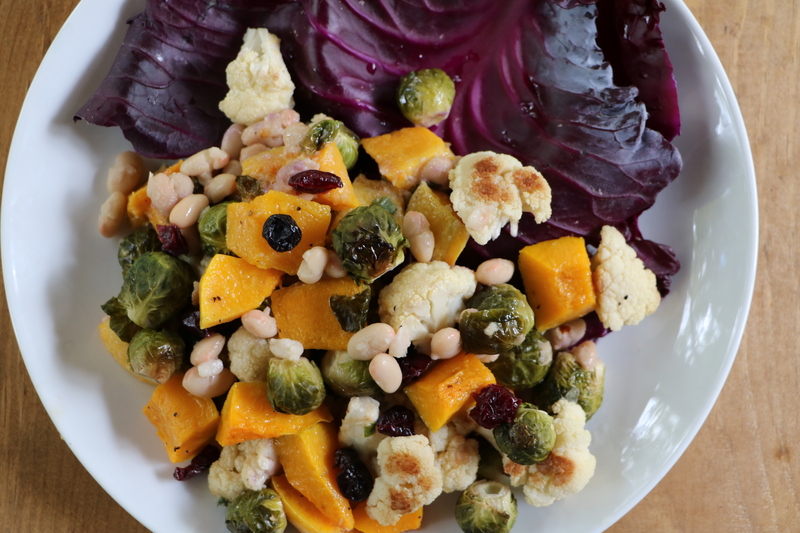 At any rate, this salad is a great side dish and the dressing works well any kind of veggie or salad. Preheat the oven to 350 degrees. Line two baking sheets with foil. Cut off the cap and base of the squash, cut it lengthwise down the middle, and scoop out the seeds. Remove the skin by using a vegetable peeler. Lay both pieces of the squash on a cutting board and cut each in half, separating the neck from the rounded bottom. Then cut each of the four large pieces into two inch wide strips. Finally, cut each strip into squares. Spread the pieces on one of the baking sheets. 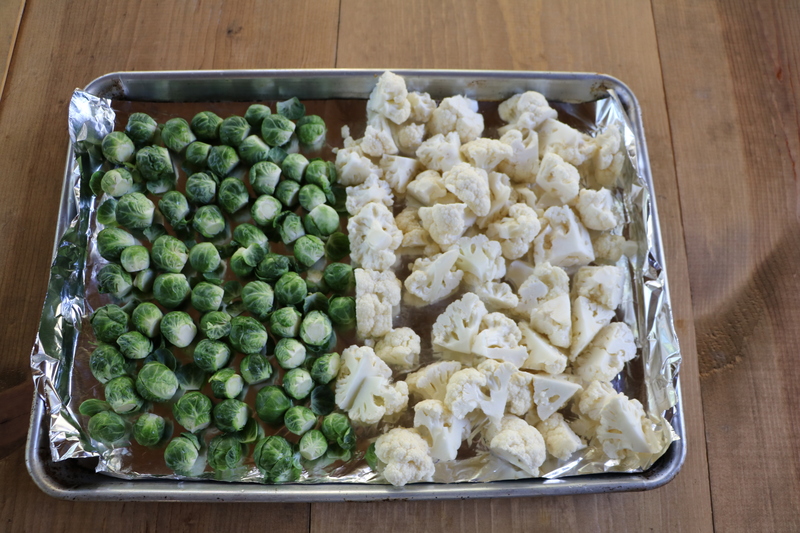 Wash the cauliflower, cut into florets, and put them on one side of the second baking sheet. Wash the Brussels Sprouts, cut off the tough woody part of the base, and if they are large, cut them in half down the middle. Place them next to the cauliflower on the baking sheet. 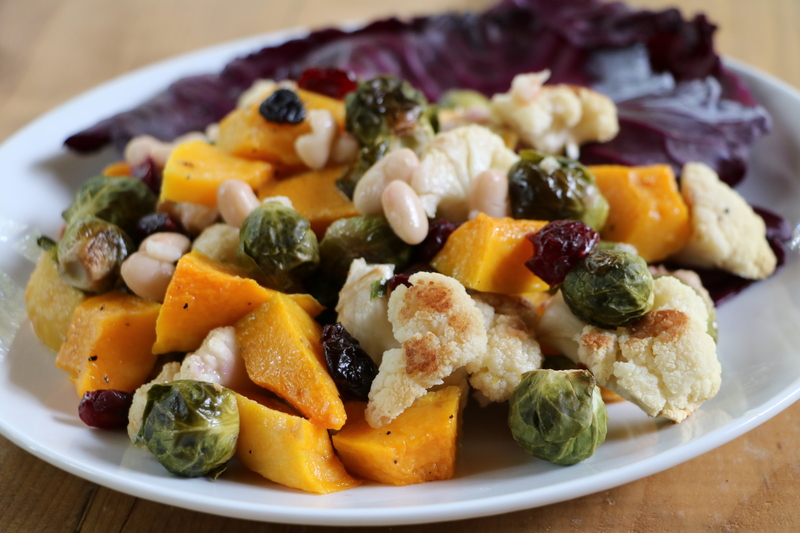 Drizzle the vegetables on both baking sheets with about a tablespoon of olive oil. Toss them around to make sure they are evenly coated and season with salt & pepper. Put both baking sheets in the oven for about an hour or until the vegetables pierce easily with a fork and are slightly browned. Meanwhile whisk together the 1/2 cup of olive oil, vinegar, green onions, dried cranberries, horseradish, salt, red pepper flakes. Set aside. Rinse, drain, and put the beans in a microwave safe bowl. When the vegetables are done, take them out of the oven. Warm up the beans for about a minute in the microwave. 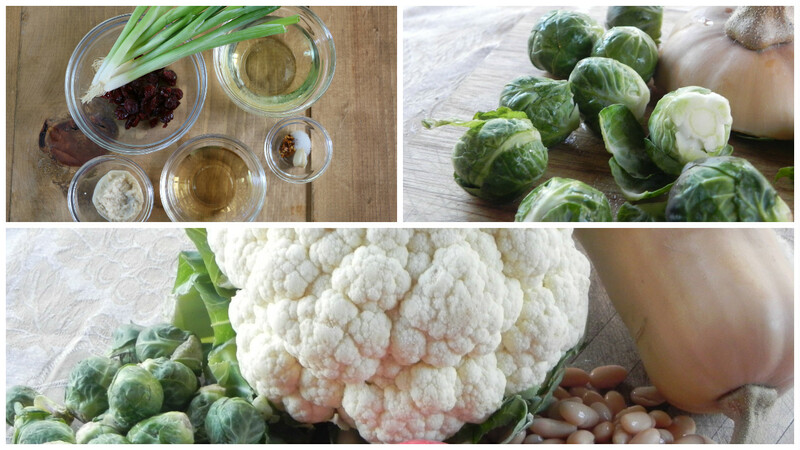 Then, place the beans, squash, Brussels sprouts, and cauliflower in a large bowl. Pour the dressing over the top and gently toss. I’d love to hear about other people’s experiences at True Food Kitchen!